Have you noticed that most car reviews are written by men? The auto industry is skewed male even though more American women than men purchase new cars. I'm no expert, but I'm sharing my personal experience as a woman shopping for a green car, and I don't just mean the color! 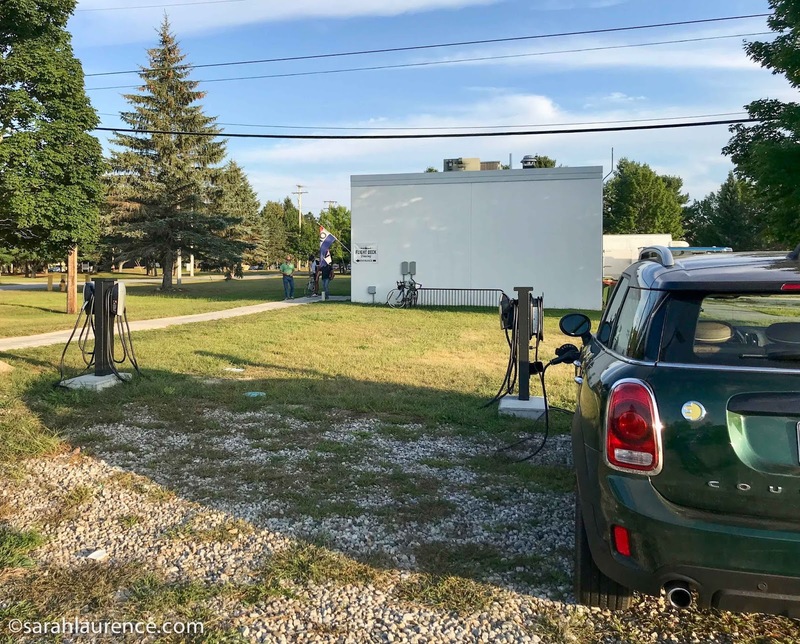 When our daughter took my 2002 Subaru Outback to college, I dreamed of replacing it with an all electric car. That dream would have been a nightmare in Maine. My state has few charging stations and my favorite destinations are off the grid. We frequently lose power in storms for hours, even days. This is why hybrids are more popular than electric cars in rural areas. As I researched hybrid cars online, I discovered a green compromise: a plug-in hybrid can run on electricity for short distances, on gas if necessary, or a hybrid combination for longer range. Rear visibility was another consideration since we live next door to a college dorm. When backing out of our driveway, I frequently encounter teens without helmets (but with earbuds) texting while biking on the wrong side of the road. As a short woman, I also needed a car that would adjust to fit me and my husband. After years of practical station wagons for after-school carpools, I craved a fun car, but it still needed to be safe in winter. It was my first time buying a new instead of a used car. 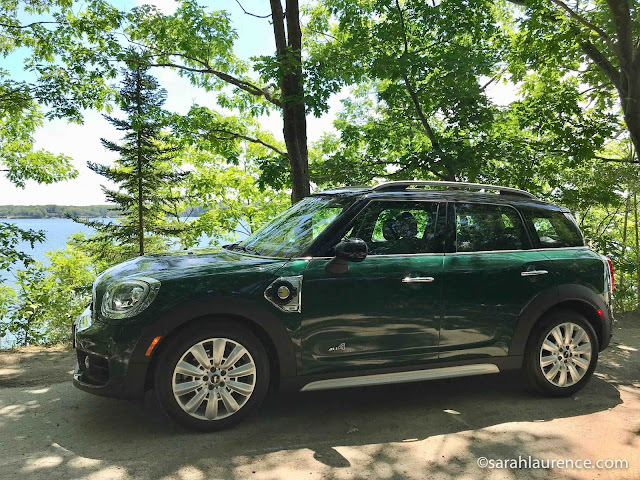 I fell in love with a Mini Countryman SE in British Racing Green. Minis combine British design with a German engine and a Japanese transmission so they have classic style and handle beautifully. The electric motor adds torque for fast acceleration. It was lots of fun to drive and very quiet. My only complaint was the brake pedal is too soft and positioned a bit high. 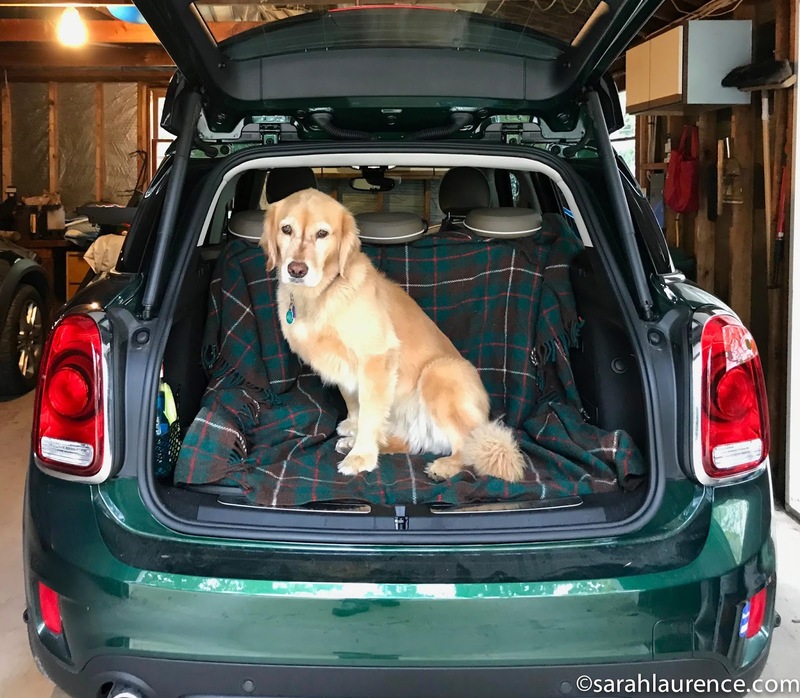 Of all the cars I test drove, the Mini had the best rear visibility, was small enough to park anywhere, and still had room in "the boot" for my Golden Retriever. Another perk of buying a Mini is the company's commitment to diversity. Our helpful salesman, Luis Velazquez, was a Mexican American immigrant (and a published poet), and the technical support "Mini Genius" was a woman, who traveled to Maine to give me a free tutorial. We bought our car at Mini of Peabody in Massachusetts because there is no Mini dealer in Maine. Switching to electric is a big commitment. Electric cars can charge off regular household current, but it takes all night. 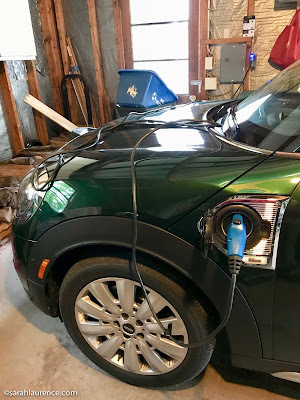 I hired a local electrician to install a 240-volt outlet in my garage, which recharges my car in about 2 hours. I also had to buy a high voltage charging cable (only a low voltage cable comes with the car). 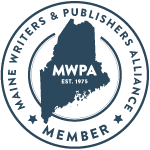 Those extra costs were more than offset by a $4,000 federal tax rebate for electric cars (some states - not Maine - have additional tax credits). I work at home and usually drive under ten miles a day with occasional longer trips up to 325 miles, the maximum hybrid range of my Mini. The all-electric range is listed as 12 miles, but in summer, I've been getting up to 21 miles, or 18 miles with air conditioning. That figure will drop in winter. On the plus side, this compact SUV utilizes gas and battery together for all-wheel-drive, which will be helpful in snow, but I'll add snow tires. There is a learning curve to mastering the technical components of this car, but I enjoy those calculations and driving options. Safety-wise, I appreciate how the driver can use physical switches or voice control instead of the distracting touchscreen. The sound system and GPS integrate well with my iPhone via ApplePlay. My default setting for town is all electric in Green mode. On longer trips, I switch to hybrid mode and let the car's computer optimize my fuel vs battery use based on distance, speed, and terrain. I use Sport mode to get onto the highway or to recharge a low battery. A good place to recharge is L.L.Bean in Freeport: their free universal charging stations are partially solar. In Portland a few public garages and some businesses offer free charging, and there are pay-as-you-go or subscription charging stations, but half of the listed stations were too powerful for my car. Fortunately, a plug-in hybrid can recharge while driving on gas. Free charging station at Flight Deck Brewing in Brunswick, Maine: three Tesla chargers and only one universal charger. The best phone app to find charging stations is PlugShare. This crowd-sourced app allows you to filter for stations compatible with your car model. My Mini can't recharge in a Tesla outlet, which are more ubiquitous than universal chargers. However, I've heard Tesla owners complain that a 5 1/2 hour trip takes 7 hours with recharging stops. Often there's another car plugged in and no time limit. A plug-in hybrid is less green (hence the smaller federal tax credit) but offers more flexibility. Before buying an electric or plug-in hybrid car, I'd recommend testing the PlugShare app in your neighborhood. I also encourage the auto industry to keep producing plug-in hybrids for rural areas, especially in the north since cold temperatures reduce battery range. Full electric cars are better suited for cities and suburban commuters and cost more. Despite the recharging infrastructure issues, I'm delighted to be driving green. I only need to refill my 9 1/2 gallon gas tank once a month, instead of once a week. I recharge every night at home but haven't noticed a jump in our electricity bill. 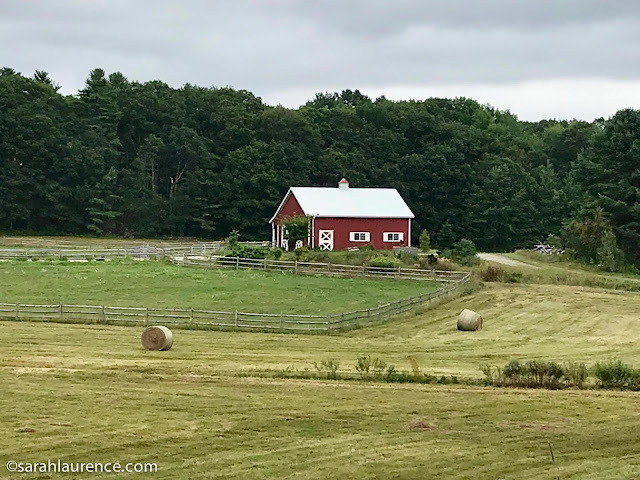 The only downside is I will have to travel 120 miles to Massachusetts to service my car, but all Minis come with 4 years of free roadside assistance, including towing to the nearest Mini dealer. For the first time in my life, I actually enjoy driving, especially since there is less guilt about burning fossil fuels. However, it's still greener to bike. Note: I was not compensated for this car review. I only blog once or twice a month (less in summer), but I update more frequently on twitter.